UV/VIS Performance Verification is now simply automated with CertiRef™. Despite the increasing demands for time-consuming performance verifications, compliance with regulations has never been so easy. With regular performance checks you can always be sure that your instrument is working properly and that your results are accurate and reliable. 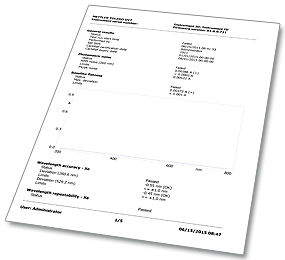 The performance verification tests are US and European Pharmacopeia compliant and include photometric accuracy, wavelength accuracy, resolution and stray light. 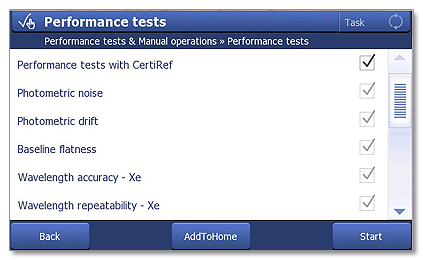 The performance checks with certified reference materials can be started with OneClick and are automatically evaluated, eliminating any risk of error. CertiRef is easily installed with Plug & Play technology, test results are automatically evaluated, after which a comprehensive report is generated. With regular UV/VIS Performance Verification you can always be sure that your instrument is working properly and that your results are accurate and reliable. 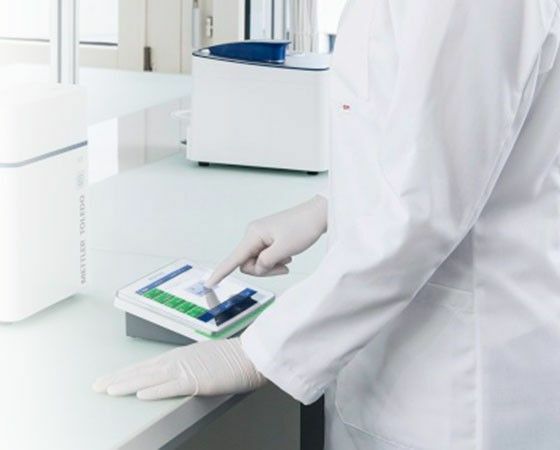 The performance verification tests are US and European Pharmacopeia compliant and include, among other tests, photometric accuracy, wavelength accuracy, resolution and stray light. All nominal data required for evaluation are electronically stored on the CertiRef™ module and are automatically compared to the test results. User calculations, manual data entry from certificates, and therefore the risk of error are completely eliminated. At the end of the verification test, a detailed report of all results is generated, including evaluation and comparison with test acceptance criteria as required by Pharmacopeia. The report can be printed or electronically exported. For comparison with previous test results, the test history includes all relevant data and allows a trend analysis. 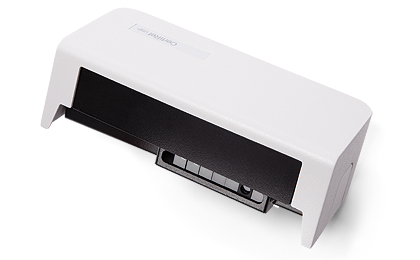 The Plug & Play CertiRef™ module is easily installed within seconds. The instrument automatically recognizes the module, retrieves all certification data and is immediately ready to start the performance verification method. The module can remain mounted on the instrument during routine measurements, or can be easily removed for use on other instruments.